Situated at the centre of the Val di Noto, in the Iblean plateau, Poggio del Sole Resort is located in the countryside near Ragusa, in the road that goes from the town to the sea. The hotel is located about 33 km from the new airport Comiso of Ragusa and approx. 100 km from the Catania Fontanarossa Airport. The nearest location by the sea is Marina di Ragusa reachable in about 13 km. Expression of a mixture between modern and classic, the 68 rooms offer functional, spacious and beautifully detailed areas. 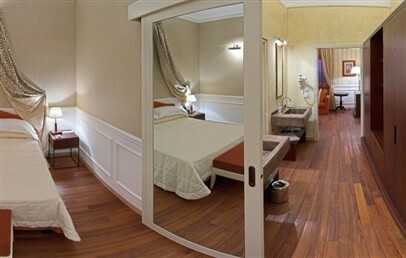 The rooms of the Poggio del Sole Resort are divided into Classic, Superior, Junior Suite (with sitting area and private balcony), Junior Suite Grecale "open space" and Suites (with balcony, some with Jacuzzi). Recently opened, the Wellness Center “Ibisco“ is a relax oasis, a shelter for your body and soul. The Spa consists of a wet area, a wellness path, a relax area, a massage room and a fitness area. At guests disposal are a wide range of body and facial treatments, massages and rituals such as Hot Stone, Thai and 4 hands massage. All the massages and treatments are to book on spot. The entrance for everyone older than 16 years. From the ancient Masseria (farm) has been obtained the restaurant "Dell'Angelo", which features traditional dishes prepared with typical products of the earth and sea. Alternatively guests can choose "The Hosteria", which, thanks to the stone baking oven, is specialized in grilled meat and fish, everything absolutely fresh. At the Lounge Bar "Maizé" you will spend nice moments in an ethnic atmosphere with live music, sipping a drink or tasting local products. At guest's disposal are: outdoor pool with on the corners massage jets, large parking place and possibility of guided tours, Jeep tours, sailing and much more. Bright and functional room, carefully furnished and cozy. They provides air conditioning, LCD and sat TV, minibar and Wi-Fi connection. The en-suite bathroom has a large shower box. There is the possibility to add a 3rd bed (please note that it is a folding bed and the size is smaller size as the normal single beds). Bright and functional open space suite. It has a bedroom and living corner with king-size sofa bed. It is carefully furnished and has cozy atmosphere. 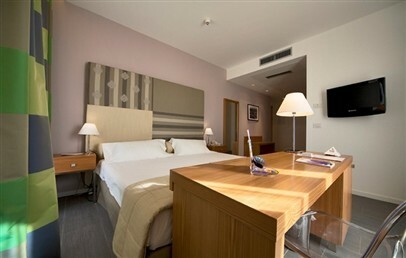 It has air conditioning, LCD TV with satellite channels, minibar and Wi-Fi connection. The large en-suite bathroom has a shower box and a separated tub. The Junior Suite has a balcony with view over the pool and the countryside. Possibility to accommodate a 3rd person in the sofa bed. 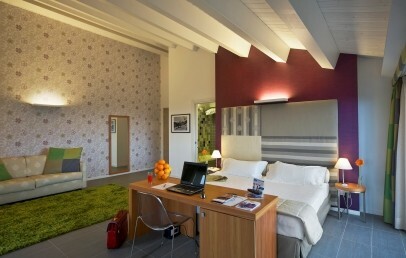 Bright, large and functional room located in the ancient area of the Resort. It is carefully furnished and cozy. They provides air conditioning, LCD TV with satellite channels, minibar and Wi-Fi connection. The en-suite bathroom has a large shower box. Bright and functional open space suite. 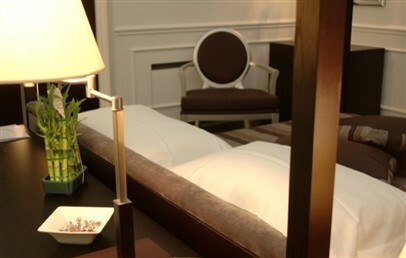 It consists of bed room and living corner, carefully furnished and cozy. They provides air conditioning, LCD TV with satellite channels, minibar and Wi-Fi connection. 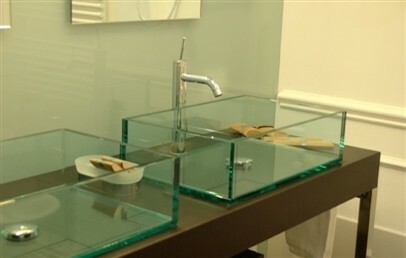 The large en-suite bathroom has a shower box and a Jacuzzi tub. The Junior Grecale faces a terrace with view on the courtyard made of old stone. 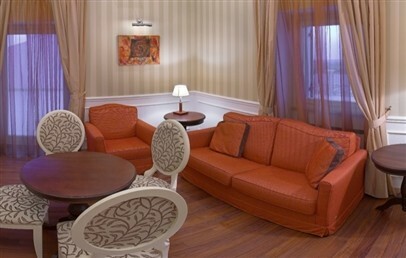 There are two large, bright and functional Suites in the Resort. 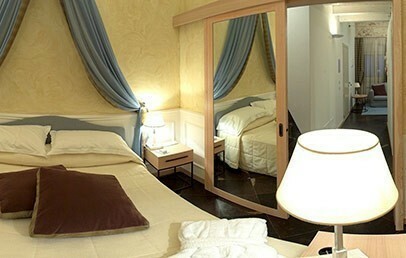 The Levante Suite has is a loft, while the Ponente Suite offers a living room and additionally a Jacuzzi tub. Both are characterized by details in “pietra pece” (local bitumous limestone) and provide air conditioning, TV LCD avec satellite channels, minibar and Wi-Fi connection. The Suites have a terrace with panoramic view.